One of the cool things about the Microsoft Inspire event is that IT. IS. HUUUUGE! One of the most annoying things about Inspire is that it is HUUUGE! It is so easy to get lost among the 10,000 or so attendees that are milling about, going to sessions across a bunch of floors, walking around the immense expo floor with what seems to be thousands upon thousands of vendors peddling their wares. The best part about this event was that it was in Vegas. Not that I particularly enjoy Vegas, but it is a drive away from my house. This means that I got to leave at a convenient time, drive my own car, and bring a guitar with me so that I can play in my hotel room. So…. what was the buzz around Inspire this year? For me it was a further crystallization of Microsoft’s digital transformation strategy. The marketing heads have come up with something called ‘Intelligent Edge’ which is a way to categorize everything into a big connected amalgamation of connected technologies. 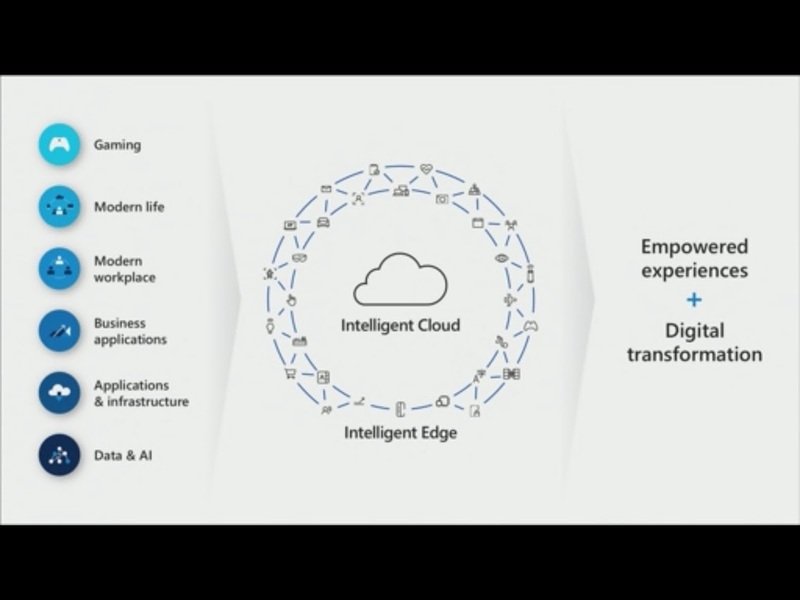 There were many slides about machine learning, AI, a BIG emphasis on Azure. All of this with unlimited scalability in the Microsoft Cloud, which comes with an incremental subscription fee of course. Microsoft seems to realize that they need the partner channel to do most of the selling for them, so the way they organize that has gone through some further evolving. It’s still very shortly after the event so I haven’t had much time to let this stew and find some good resources. I’m actually not sure if I will have much time for that anyway. I am knee deep in working on hours of new training material that needs to be finished before the next event, so we’ll see if I get to do some research on all of this. For me, I like to dive a little deeper into specific topics. Inspire is a bit overwhelming for me, and it is an extremely expensive event to boot. We’ve been to Inspire two years in a row, and if we’ll come back next year (which I doubt) we will probably just get a room near the conference and use the event as a means to be in one place with our customers and Microsoft people.